As the Brazil 2014 Fifa World Cup Lasts, Some comapanys are begining to launch Giveaway packages, and I know that giveaway packages do engages most individuals. 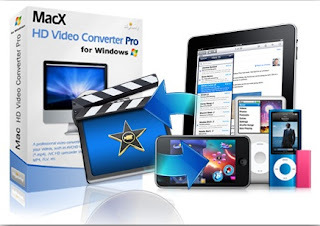 Lately, I got an information about the Macx Video Converter Pro which worths $50, is now given for free and with this PC software, all world-cup match videos can be downloaded with your computer from the internet, with most of your favourite goal video clips. No dulling moment guys, this is a time limiting giveaway package that is waiting for you. So to win the giveaway package, simply follow the below procedure, and the package is yours. Step 1: First go to the giveaway page here. Step 3: Immediately after vote, you would recieve a popup message, providing the download link to the licensed Macx Video Converter Pro. Congratulations, The Package is all yours. With this awesome software, you can download any world cup video, be it a 4K HD quality or other high resolution, and the coversion process is very fast and the videos would be coverted to any quality of your chaoice that would be compatible to any device, like Android smartphones, IPhones, IPad, Windows or any operating system. NB: The Winners of the prediction would also be announced on their official facebook page of digiarty a week after the world cup, so I advice you'd like their page and stay tuned.